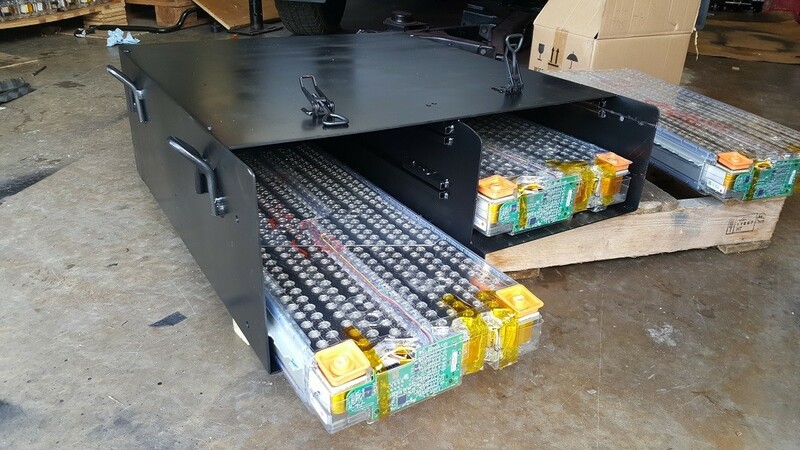 Battery box containment system to house Tesla Model S battery modules. Available in various sizes and options. Battery box containment system to house Tesla Model S batteries. Battery modules slide in and are secured in place with a locking plate. The lid is then secured via catches and seals to the main box. Please note these units are not water tight. 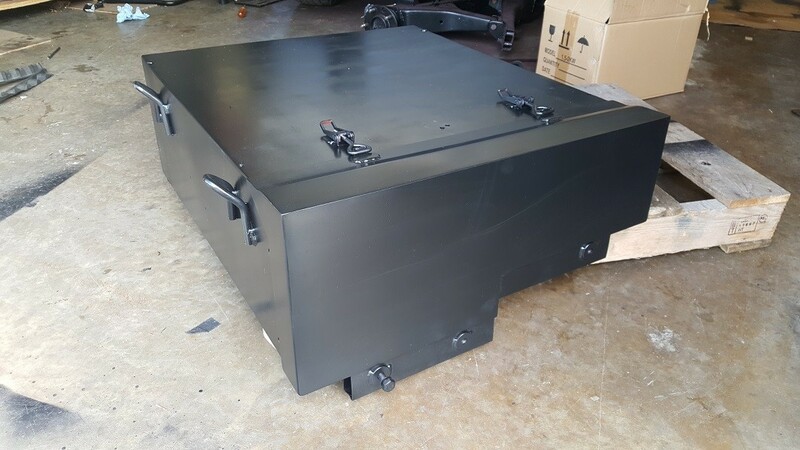 These boxes can be configured to house anything from 1 to 10 battery modules and can have various additional fittings such as lift hooks and mounting points. Finished in bare metal or powder coated. Variable depending on configuration and options.